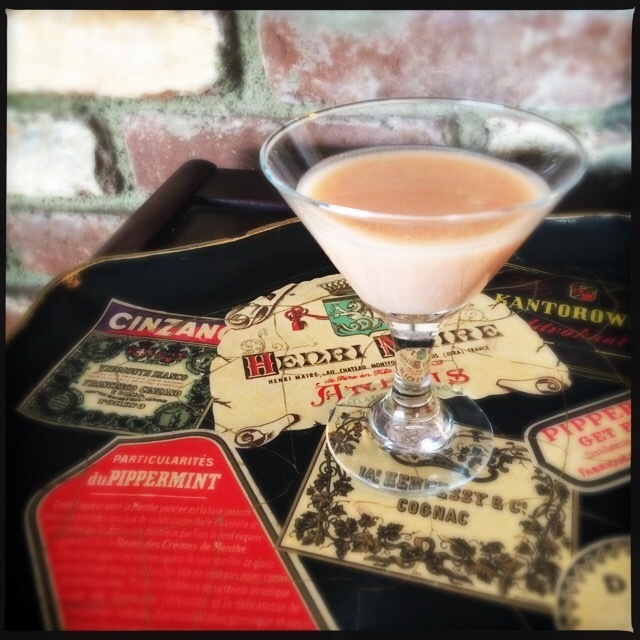 I’ve always thought of Crème de Menthe and Crème de Cacao as the kind of alcohol you sneaked from your friend’s parents’ liquor cabinet at a slumber party. Syrupy sweet and not too potent, they were the type of thing that my underage taste buds and underdeveloped palate could tolerate and even enjoy. As I got older, however, I began to develop a taste for wine and what I deemed to be sophisticated cocktails. No candy-colored “mom drinks” for me. That is, until I came across Tempus Fugit Spirits. I was initially drawn in by their packaging—sinuous bottles with sumptuous labels that would have been perfectly at home in a 19th-century Parisian bar. Tempus fugit (“time flies”), indeed. But then I read about their Crème de Cacao and Crème de Menthe, and reliable sources seemed to agree: these liqueurs were something new and special, a cut above. The Tempus Fugit website states: “Our goal is to source and recreate rare spirits and liqueurs from the pages of history to satisfy the demands of the most discerning connoisseur.” Being a lover of both history and rare spirits, I had to try them out for myself. I procured a bottle of each and was delighted to discover that the praise was warranted. The Crème de Menthe is made with spearmint, in addition to the usual peppermint, so it’s cool and refreshing with a little bite that nicely balances the sweetness. And there’s no neon green in sight. The liquid is as clear and pure as the taste on your tongue. The Crème de Cacao, on the other hand, is the rich brown of its namesake, in contrast to the white version that is traditionally used to make grasshoppers. It is truly extraordinary. Thick and sweet without being cloying, it has an intense chocolate flavor that aficionados will adore. Mix together in a cocktail shaker, then strain into chilled glasses. Serves 2. 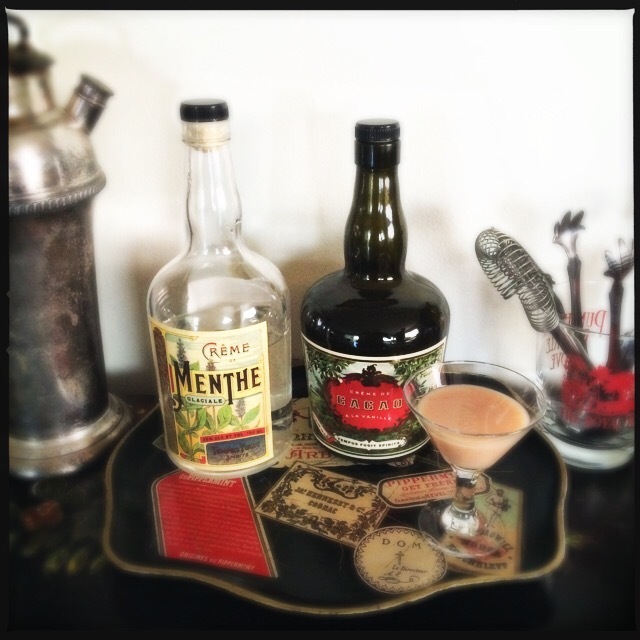 Tempus Fugit Crème de Menthe and Crème de Cacao can be purchased from K&L Wines.